Savory sweet potatoes mashed with garlic and topped with a bit of bacon. As many of you know, I'm a fan of potatoes. All sorts of potatoes. Well, one super easy way to have potatoes is mashed potatoes. Especially when I just need something fast or if I need to get more groceries. I thought I'd try something similar with sweet taters, especially after I saw this recipe on Skinny Taste. Why not make the mashed sweet potatoes a bit savory instead of overly sweet? I did, and I'm glad to report - they're even better than the sweet version! 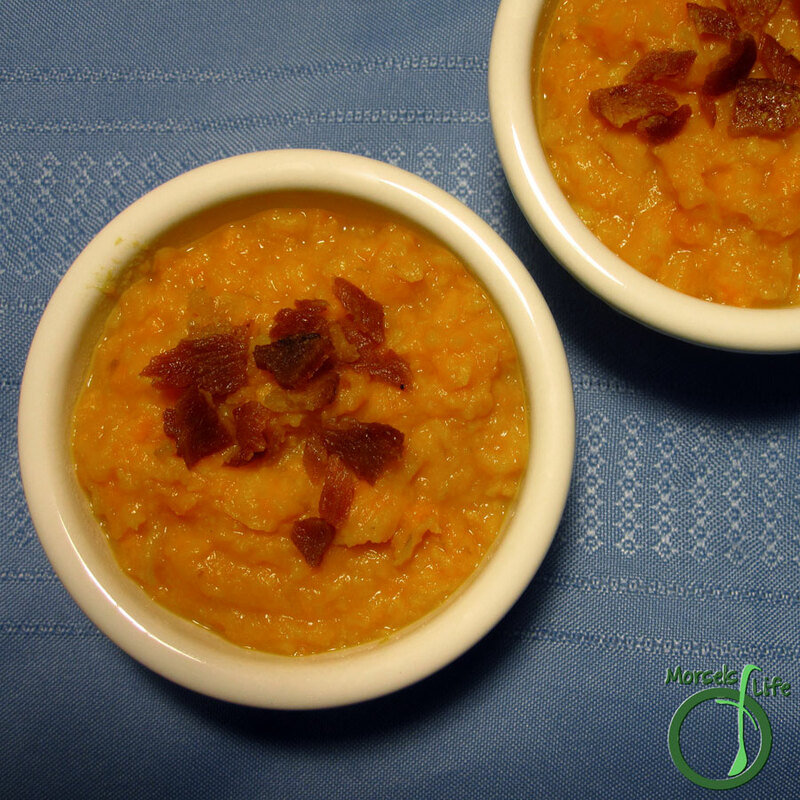 The contrast between the sweet potatoes and savory bacon worked really well with the garlic. Plus, they're much easier and healthier than the usual sweet potato casserole. What's your favorite sweet dish made savory or savory dish made sweet? 2. 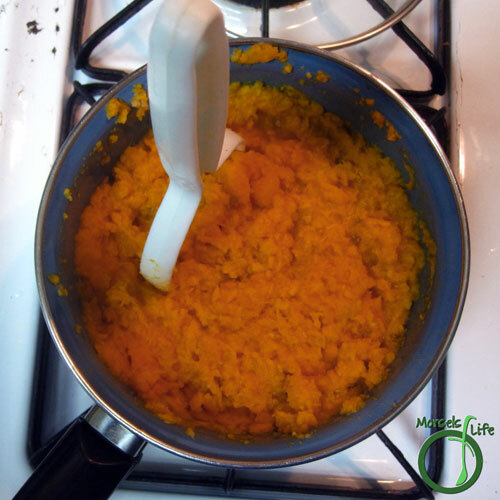 Cook sweet potatoes in the smallest amount of water required. 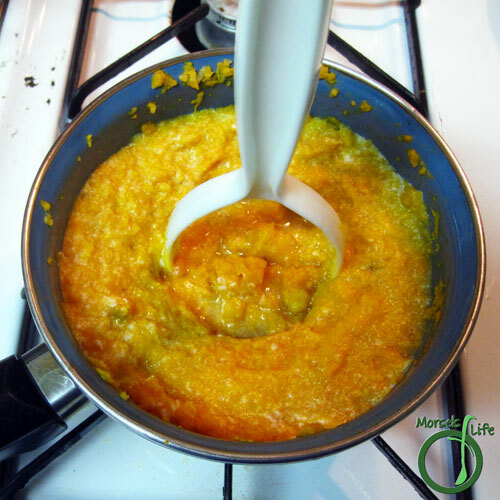 (Less water added means less water to boil off at the end to reach desired consistency.) Mix in garlic. 3. Mash garlic and potatoes together. Add in bacon bits, reserving some for topping. 4. Stir, mix, or mash in milk. Serve with bacon bits sprinkled on top. Every recipe you share is absolutely beautiful and looks delicious! Thanks for linking up with "Try a Recipe Tuesday." Hope you can link up with us again this week. I like the twist and mixing sweet with savory. Hope you enjoy! I love anything with garlic! 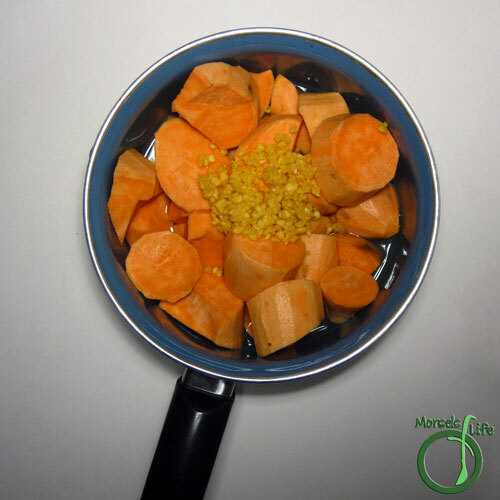 Thanks for linking up to Simply Natural Saturdays! You really got me there with the bacon. 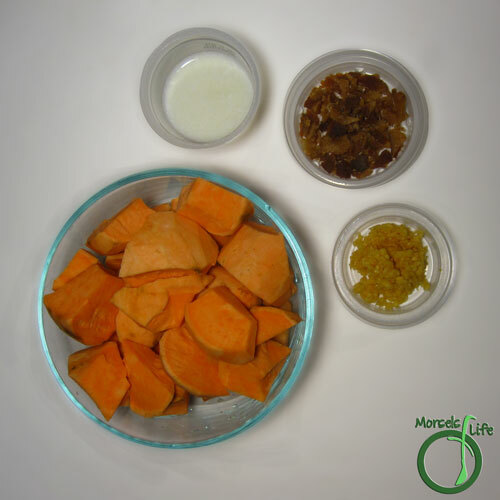 This is the second savory sweet potato dish that linked up this week! Can't wait to try them both. Thanks for linking up at #SaucySaturdays. Bacon always makes things taste better. :) Hope you enjoy these savory Garlic Sweet Potatoes! I'm the savory girl so I totally LOVE your option! Thanks for sharing with us at #TryaBiteTuesday, I've tweeted & pinned to pass the word - please join us again this week with another yummy recipe!